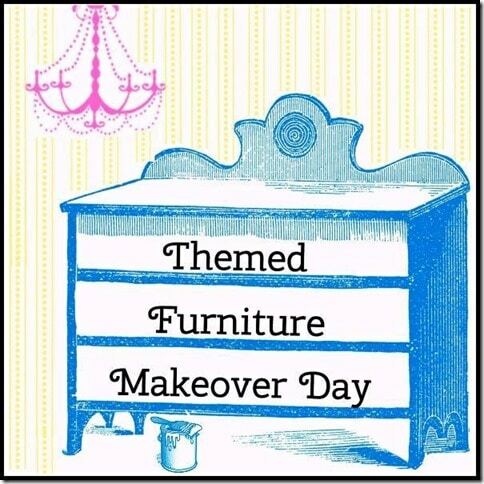 It’s Themed Furniture Makeover Day! This month the them is two tone. I had to think a bit before I came up with an idea for this project. 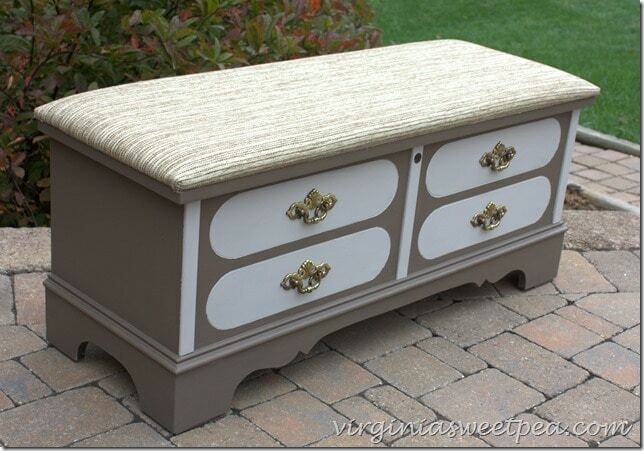 After a tiny bit of persuasion, Mr. SP agreed to let me give the Lane cedar chest that he purchased in the early 1990’s a two tone makeover. 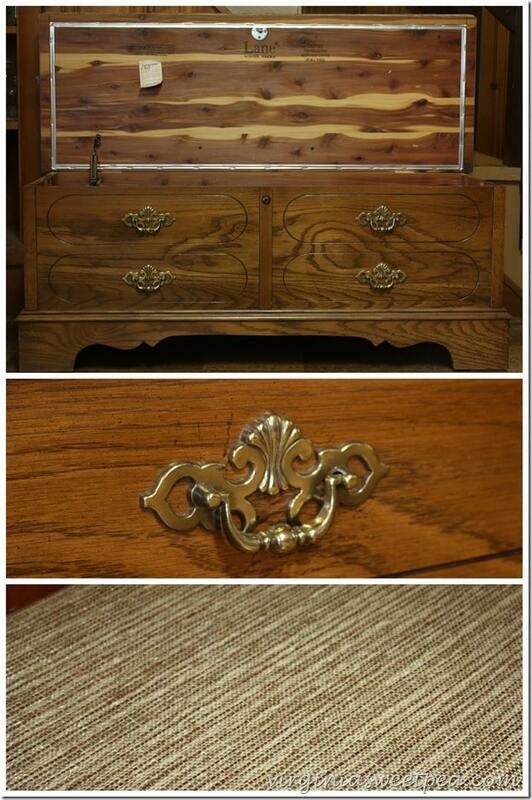 When I met Mr. SP, his bedroom furniture consisted of a “This End Up” bed, a dresser, and this Lane cedar chest. 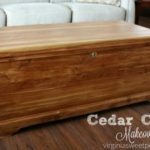 If you read Seventeen or Teen Magazine in the 1980’s, you know all about cedar chests. 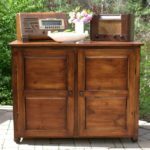 I didn’t have a Lanecedar chest but my parents did buy an antique cedar chest for me for one of my teenage birthdays after I convinced them that every girl needed one. 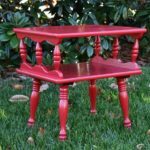 (Great marketing Lane furniture!) I’m not sure why Mr. SP thought he needed a cedar chest for his bachelor apartment and then house, but he had one. 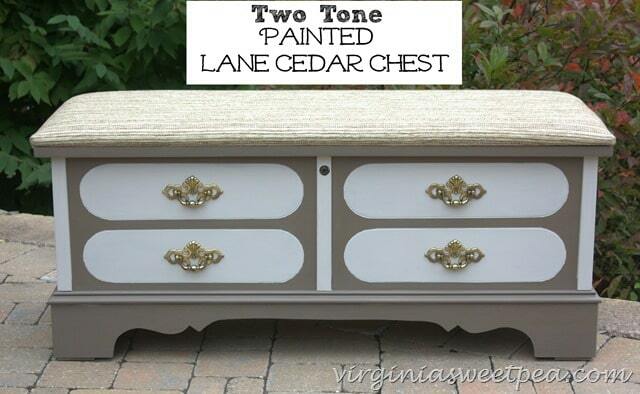 The Lane furniture company is located very close to where we live and one of our good friends used to work there. Unfortunately, the company has been out of business for several years. 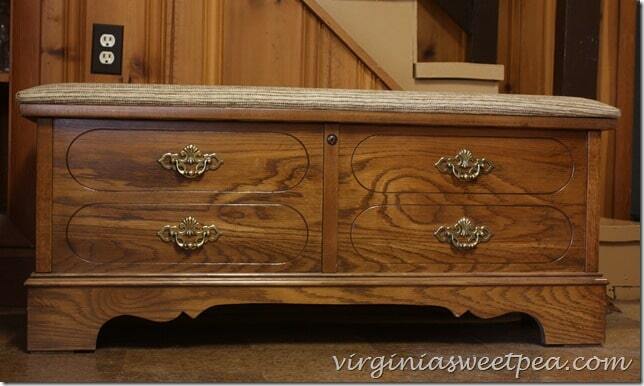 After we got married in 1994, my cedar chest replaced Mr. SP’s and his has lived in the basement ever since. 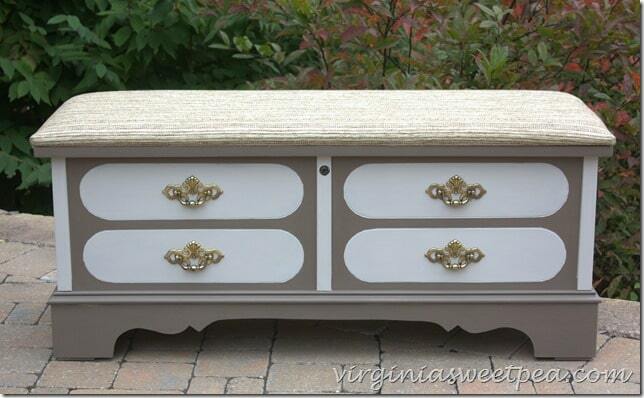 I love the inside of his Lane chest but I never was crazy about the veneer wood on the outside of it. Being a southern girl, I never lost my love for brass, so the like-new handles were fine to reuse for this makeover. The top of the chest is a masculine tweed that I didn’t mind so I decided that I wouldn’t replace it. Since I decided to keep the fabric on the lid for the time being, I used paint colors that coordinated with it for the makeover. 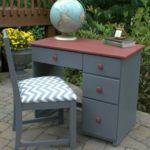 The darker color is Tilled Soil Vintage Decor Paint by Martha Stewart purchased from Michaels and the lighter color is Primitive Americana Decor Chalky Finish by DecoArt purchased from Home Depot. 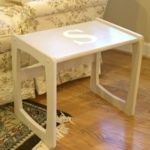 I really enjoyed using the DecoArt paint and will definitely use it again in the future. The Martha Stewart paint worked well but I didn’t like the narrow bottle it was packaged in. It was a pain to have to pour the paint into another container every time I wanted to use it. 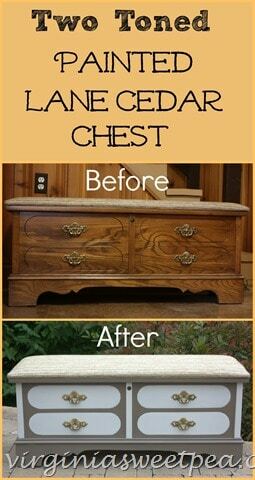 After painting the chest it was waxed and buffed. 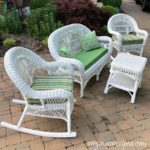 Be sure to scroll down to check out all of the projects from this month’s two toned makeover challenge. If you’d like to check out my projects from the last six months, click on the picture below. So, fess up: How many of you you remember Lane ads in magazines? How about This End Up stores in malls? I’ll have to say that Mr. SP’s This End Up bed is solid as a rock. I don’t think even a teen boy could defeat that piece of furniture. 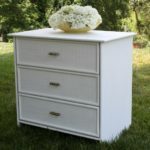 Ours went to the guest room after I came along and replaced it with a feminine Bird’s Eye Maple family piece. So it’s still a little bit masculine (I’m sure your husband is happy about that) – but it’s also pretty! 😉 The colors are perfect together. Lane chests were before my time but I can see how great they could be for storage. I can’t wait to see what fabric you choose for the top! 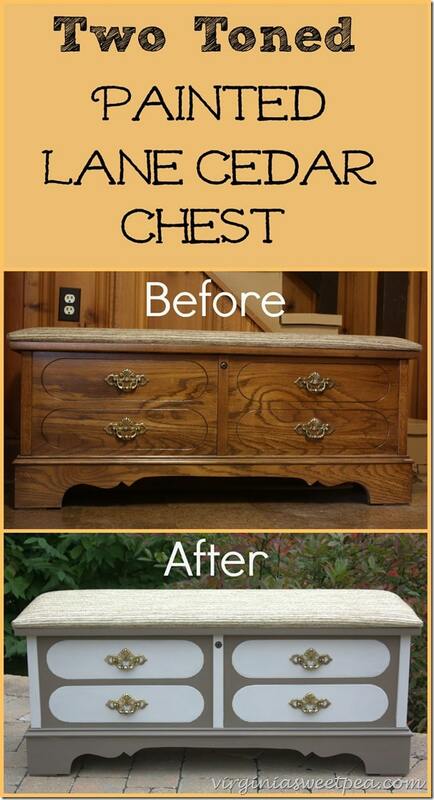 Love the makeover on this chest Paula. My in-laws have a Lane chest sitting in their basement storage room with nothing in it (can you believe that) but they won’t part with it 🙁 I agree that adding new fabric (with a pattern) will make this chest sing, even more. Looking forward to seeing what you choose. I’m enjoying this series and look forward to it every month. You gals are a talented bunch! Paula~This looks so much better! The grainy oak dated it so much. Now it looks fresh and new. Great job! What a great makeover! 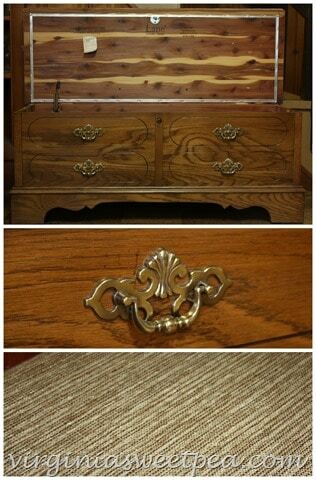 I have a Lane cedar chest that my parents bought for my 19th birthday. I’ve been thinking of painting it and now I think I will. I had no idea they were out of business! Thanks for the inspiration! This looks beautiful! I’m so glad Mr. SP let you have at it! 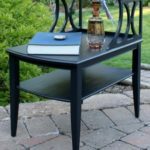 Now it can escape the basement with it’s beautiful makeover!! I have a question. ..did you paint the back side of the chest? I love how the chest looks. I’ve been wanting to do something with my Lane chest for years, your post has inspired me to try. I did not paint the back side of the chest. Since it will be against the end of our bed and won’t be seen, I didn’t think it was necessary. I hope you’ll share what you do with your Lane chest. I’d love to see it.